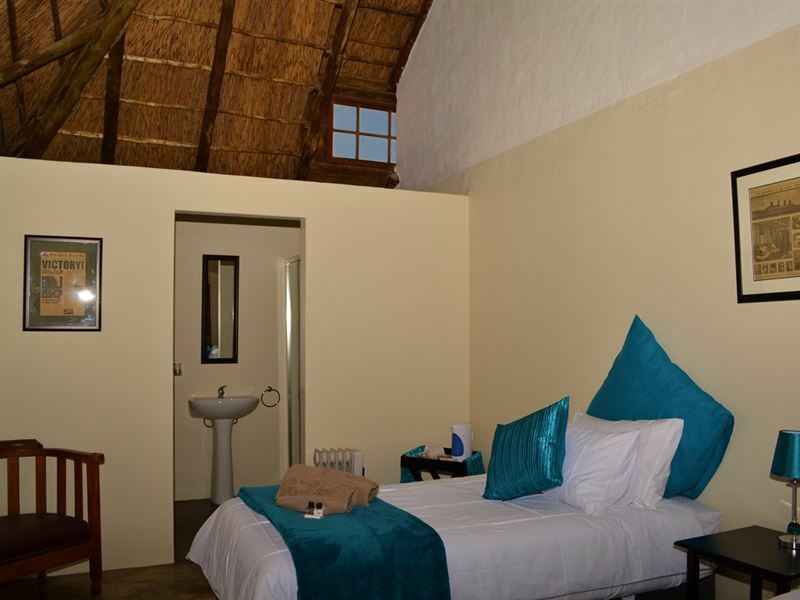 Set in a rustic environment, both thatched units are well equipped and comfortably furnished with two single beds and an en-suite bathroom. 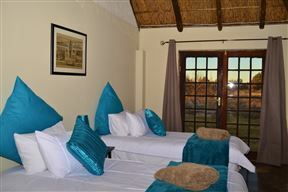 Thorn Tree is a short ten-minute drive from the airport and is within easy access of the N1 highway. 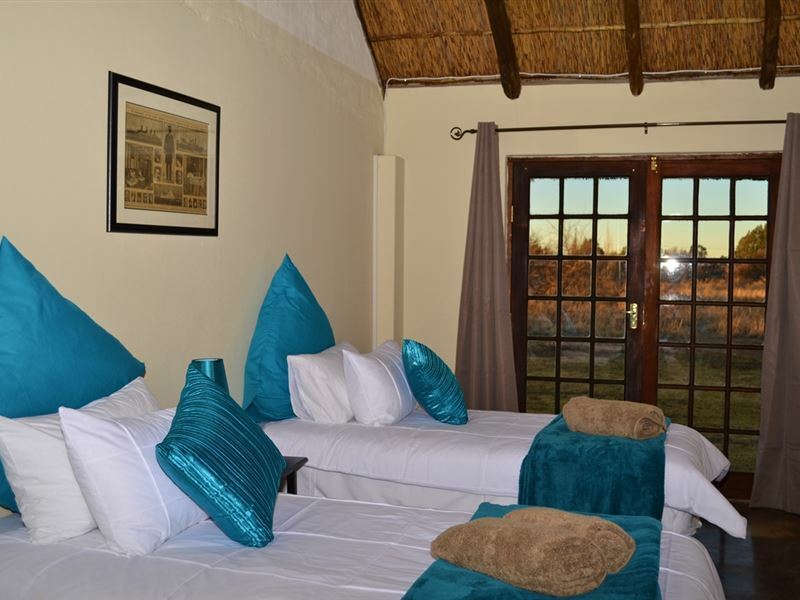 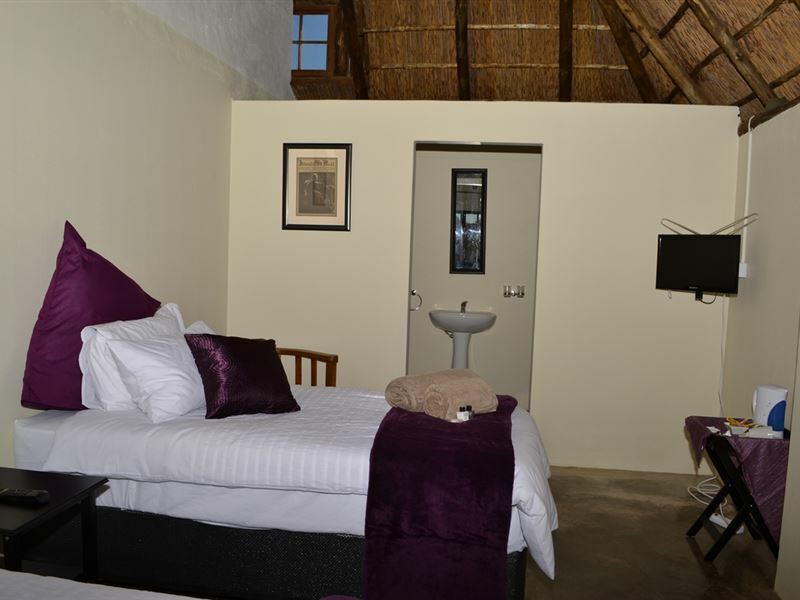 This thatch-roofed room accommodates guests in two single beds and an en-suite bathroom. 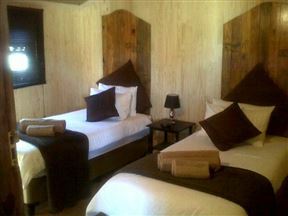 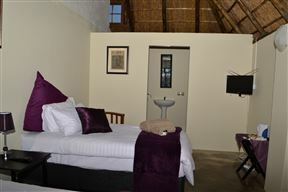 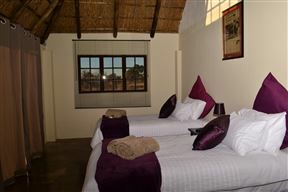 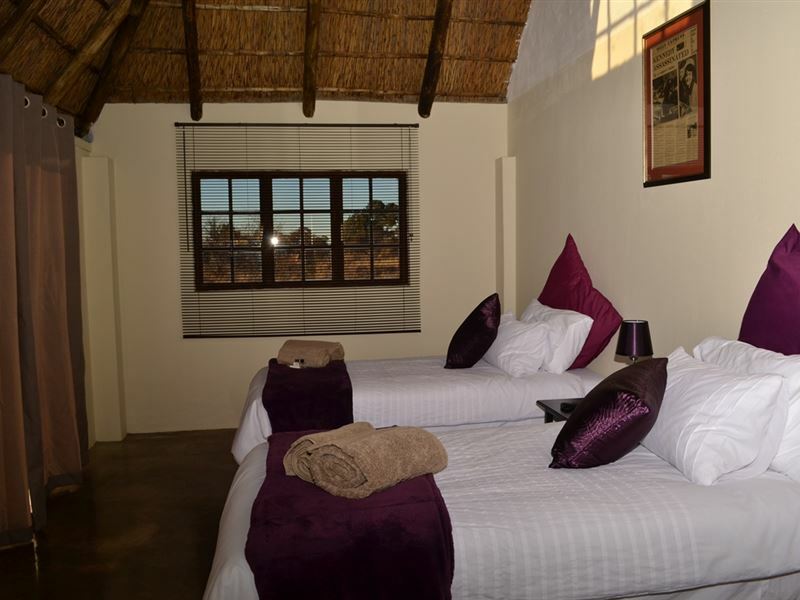 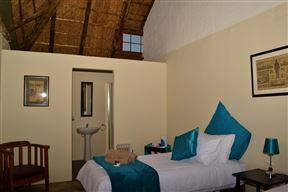 This thatch-roofed room accommodates guests in two single beds and an en-suite bathroom with shower. 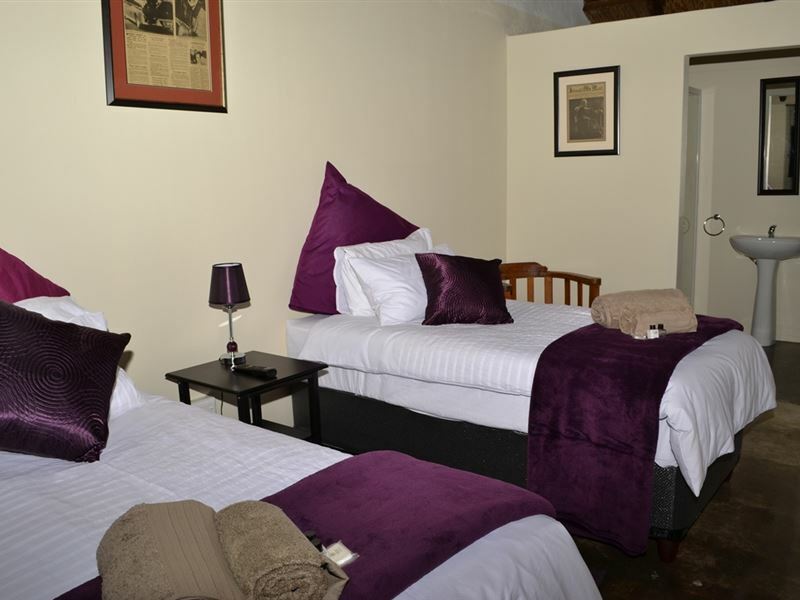 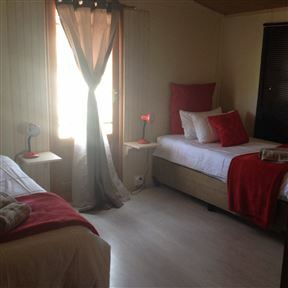 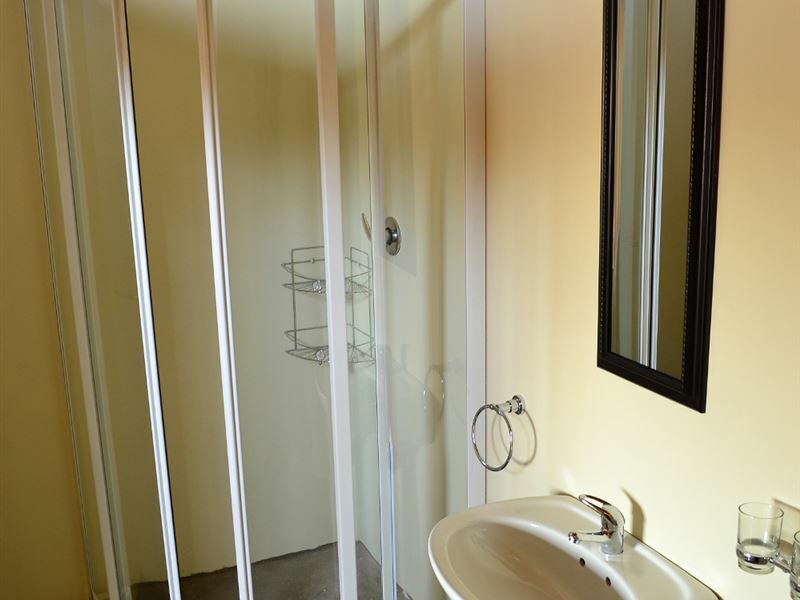 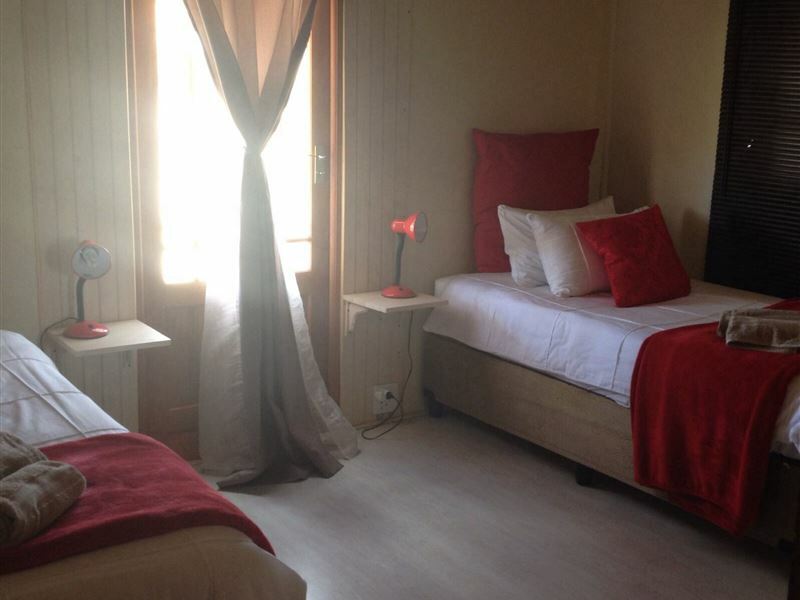 The self-catering unit is ideal for a group of 6 people or a family. 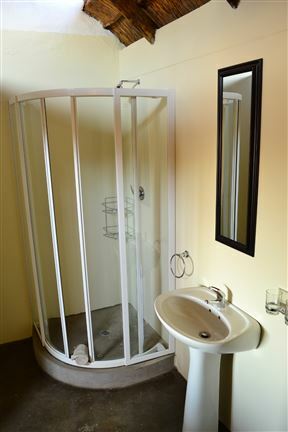 It has 3 bedrooms and a bathroom. 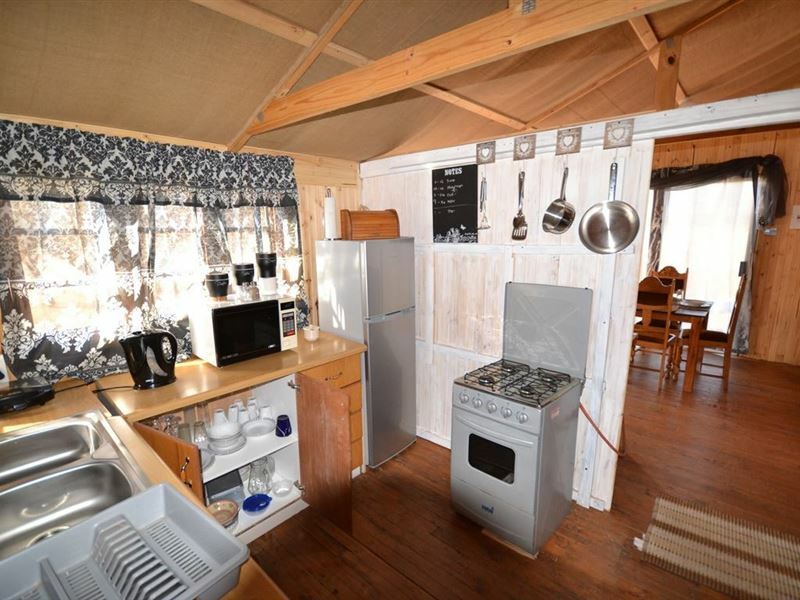 The unit has a kitchen and a dining room. Children under the age of 5 years stay for free.